Brisbane Bullion presents the Queensland Mint solid Sterling Silver Bear. This beautiful object makes for the perfect gift for someone who already has everything or is hard to buy for, the quintessential professional desktop investment gift. 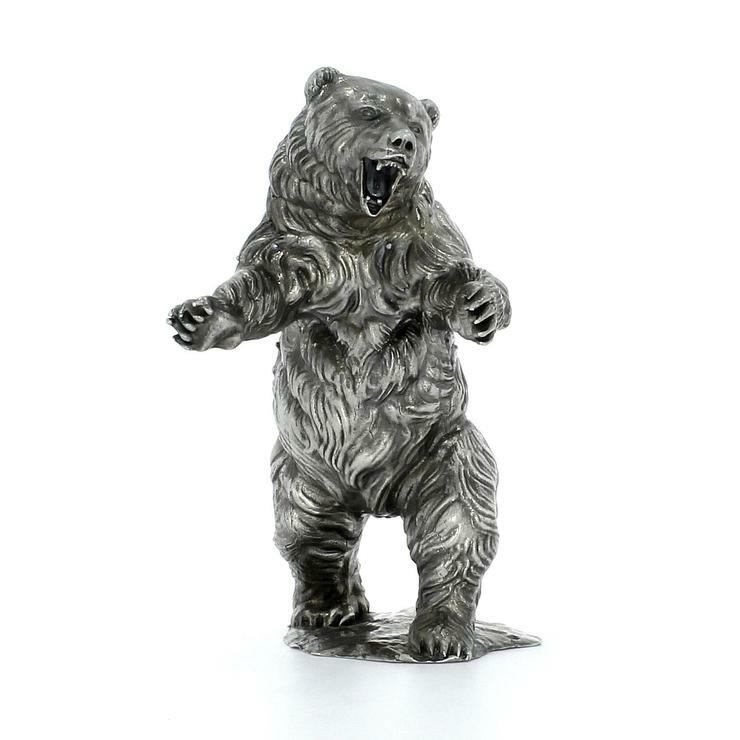 The Bear is hand-crafted from solid Sterling Silver and weighs a total of 13 troy ounces, containing 12 ounces of silver. This beautifully heavy object comfortably sits atop an executive or professional's office desk and allows the holder to own a useable object that can appreciate in value along with silver's fortune. Available separately or in an impressive matching set with the Bull. The imagery of the bear and the bull have long been associated with the movement in global financial markets. Originally linked to the first futures traders in the 1700’s, the middlemen in the sale of bear skins would speculate on the future purchase price of skins from the trappers, hoping they would drop. Conversely, because bears and bulls were widely considered to be opposites due to the once-popular blood sport of bull-and-bear fights, the term bear stands as the opposite of bulls. The bear keeps the bullish market in check as it thrusts its paw down on unfortunate prey.